CarConsignment.com.sg is a company that believes in providing flexible financing options for potential buyers. We will work with you until we find a workable loan arrangement that suits your needs and financial standing. We offer loan application assistance from some of the leading banks and lending institutions in Singapore. We will provide you with several options with varying loan interest rates to help you find an arrangement you’re fully comfortable with. If none of the initial options work with you, we will also gladly explore the possibility of in-house financing. We will be more than happy to settle the amount on the car you’d like to purchase so the full amount will be paid to the seller. We will then work closely with the buyer to come up with a workable payment scheme that’s based on competitive loan rates in the market. 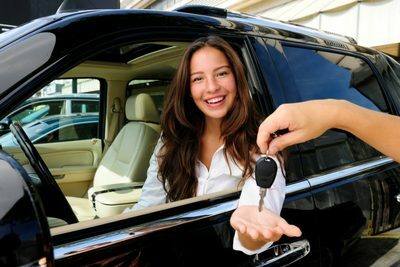 CarConsignment.com.sg offers comprehensive insurance plans for every vehicle sold through our company. We will provide you with several options and quotations from some of the leading insurance companies in Singapore to make sure you get the best possible coverage. Our highly esteemed sales team can advise you in choosing the most appropriate sales coverage based on your needs. We don’t believe in settling for cheap coverage because we value your investment. We will stop at nothing in order to get you the most appropriate coverage and the best premiums money can buy. CarConsignment.com.sg has teamed up with some of the biggest and most trusted insurance institutions in Singapore. Along with our industry partners, we will stop at nothing until we get you the best insurance coverage and premiums money can buy. To learn more about our loans and insurance policies, call us at +65 62506696. You can also drop by our showroom at 01-11/12/13 One Commonwealth Building, 1 Commonwealth Lane,149544 and have a member of our esteemed sales team discuss the different financial assistance options and comprehensive insurance policies that are best suited for you.